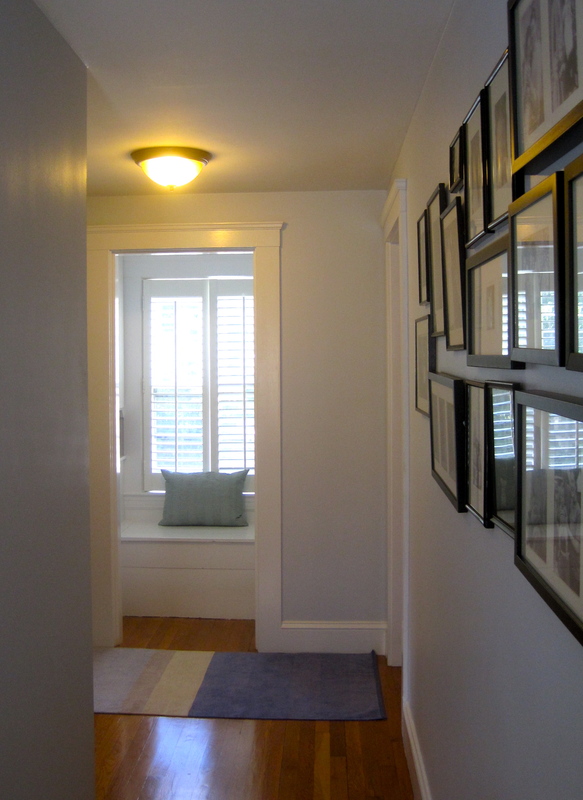 At the end of our upstairs hallway we have a little nook. It is a detail we loved about the house from the beginning. It has some little nook-y cupboards that we use for storage. Months ago I organized them. I was partly inspired by Young House Love again. 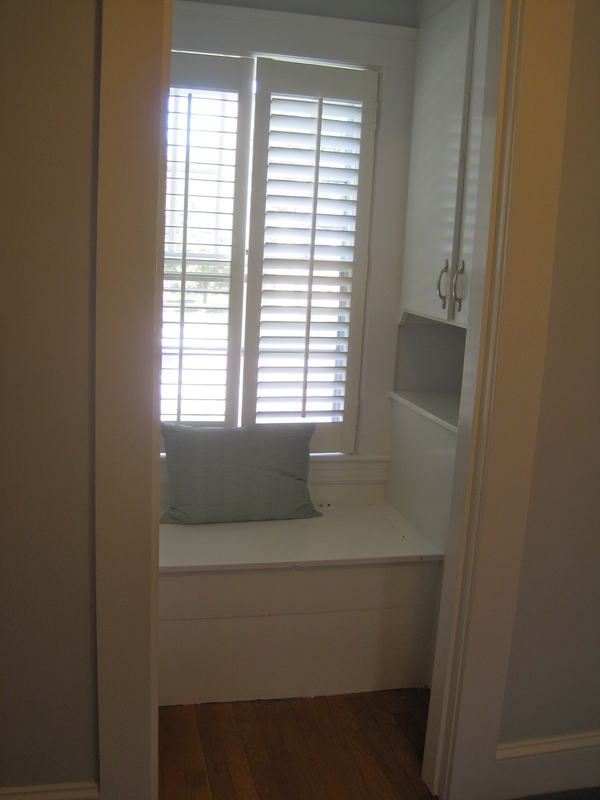 They have a great looking linen closet, where they use baskets and boxes to contain their linens and sundries. The next step today was to embrace labeling. So I got out the paper cutter, and went to work putting homemade tags on each of our baskets. If you are following me at all this month you may think from this post and this post that I am a labeler. 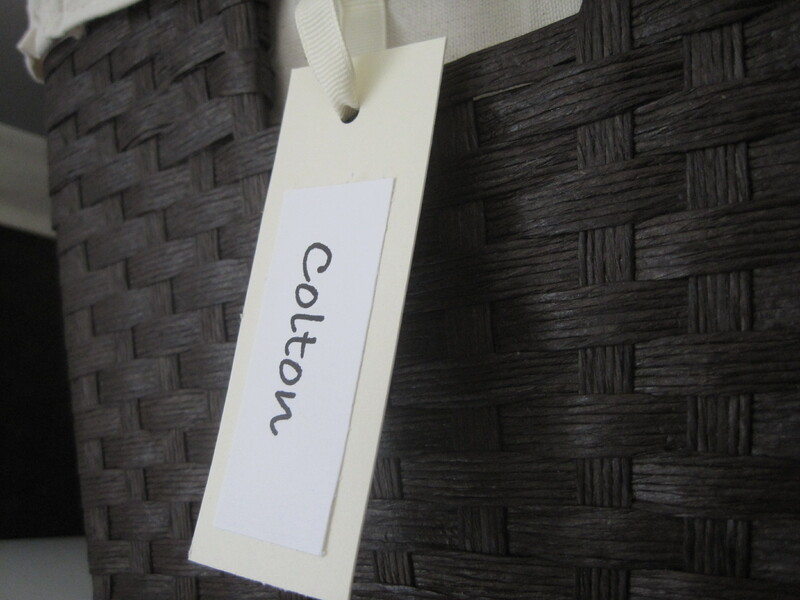 I have always hesitated to label. I never liked to write on file folders or notebook tabs. It always feels like a big commitment to me. So I have not labeled around the house. What if in the days ahead I want to change what is in that particular box or bin? But today these September days I am telling myself, to go ahead, if it feels like it needs a label, label it . . . I can always take it off and/or add a new one! And now if I ask Andrew to get more baby shampoo for Colton, all I need to do is say that it is in his bin. 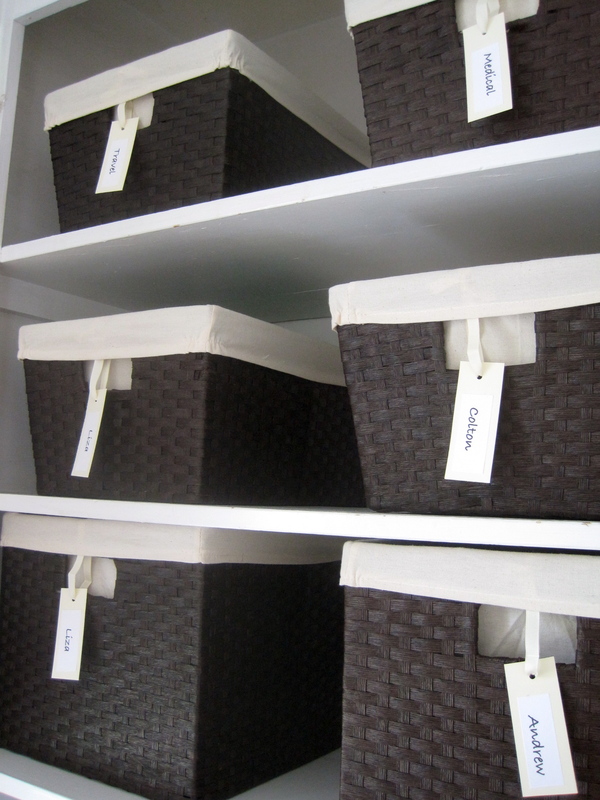 Organizational task for today: Label nook bins. Organizational tip for the day: Go ahead and label, you can always change them out.